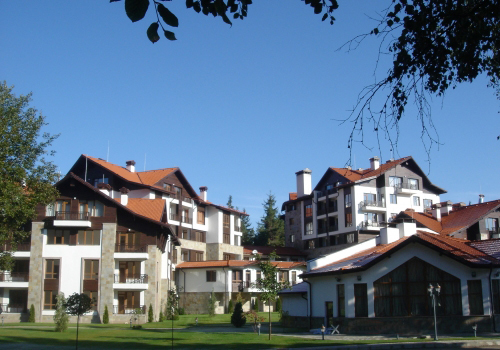 ‘Semiramida Gardens’ Apartments and Hotel Complex -Borovets is locatedat 1470 m above sea levelin a sunny and peaceful place surrounded on all side by pinetrees and close to the ski runs and facilities –Yastrebets2 and 3 ski runs finish in front of the complex andthe lower station of Yastrebetsski lift, as well asYastrebets 1 ski run,are 250 meters away. 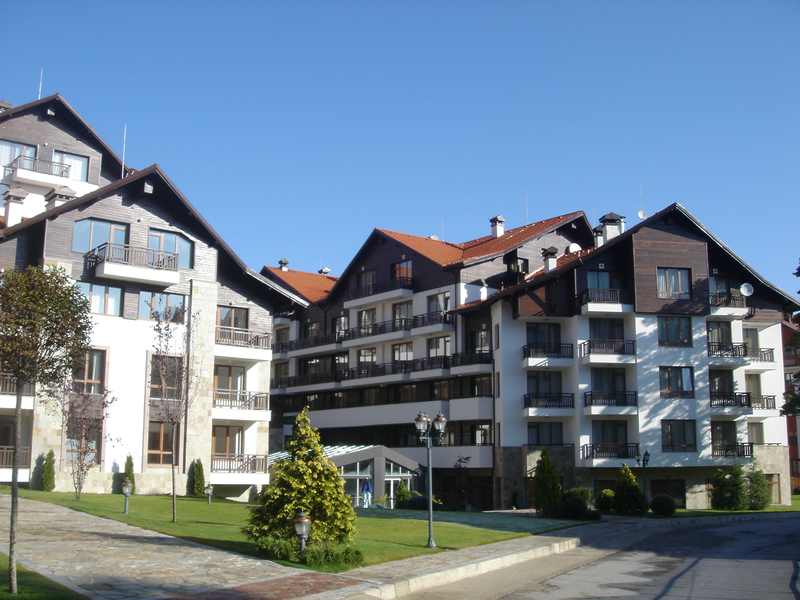 ‘Semiramida Gardens’ – Borovetsconsists of four connected bodies – one body is a five-star hotel with a restaurant and SPA center, the other three bodies are residential bodies. The ground on which the complex is built has an area of 21000 sq.m. 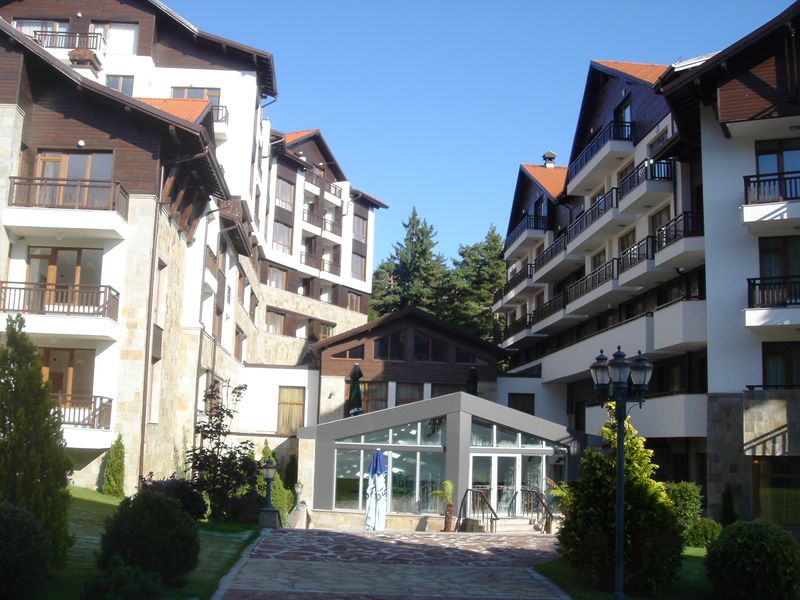 The total built-up area of the buildings is21700 sq.m. The buildings are located at the bottom of the property, allowing a richly planted southern yard. 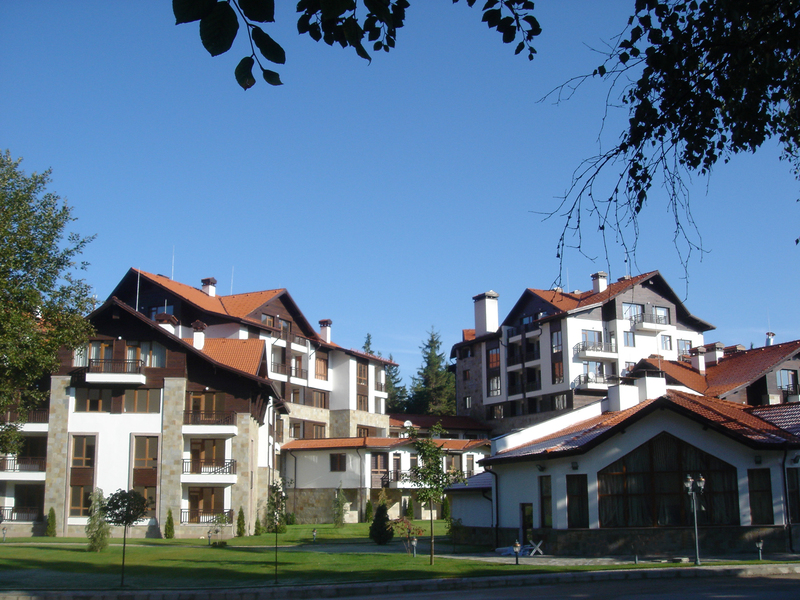 The apartments have south, south-west or south-east exposure,all with magnificent mountain views.